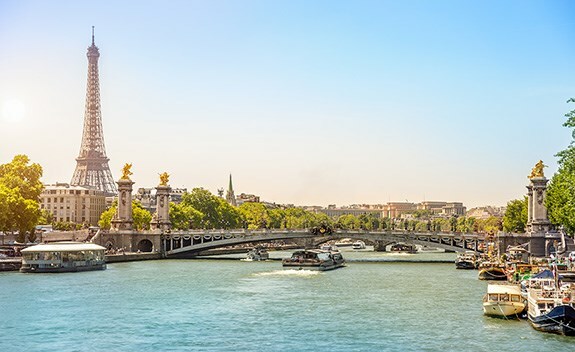 While river cruising continues to evolve from a gently paced vacation for people in their 60s to 80s to one that appeals to active travellers decades younger, the core experience is still one of wonder and discovery. Guided getaways can be customized to be as on-the-go or leisurely as you please, with lots of personal time for exploring on your own or experiencing those insider moments. The options are as vast as the world itself. Here are just two of our top picks for Europe — one value-added and one with extra economies built in. Here’s a little preview of some of our favorite itineraries. Celebrated in song and prose, the legendary Danube flows through nine countries—from Germany’s Black Forest to the Black Sea—providing glimpses of ancient monasteries, Gothic cathedrals, quaint villages, bustling capital cities, and world-class vineyards. Steeped in legend and myth, the Rhine is one of Europe’s longest rivers, highly revered for its beauty. It originates in Switzerland and flows 776 miles to the North Sea in the Netherlands. The UNESCO-designated Rhine River Valley is home to more fairytale castles than anywhere else in the world. One of Asia’s least developed rivers, the Mekong teams with life, boasting a biodiversity second only to the Amazon. Unlike river cruises that sail past European capitals, the route through Vietnam and Cambodia offers stunning contrasts of ancient landscapes, bustling towns and rural river villages.